The latest Android O Developer Preview has given its due diligence to Android security by providing an extra layer of security over enabling developer options. 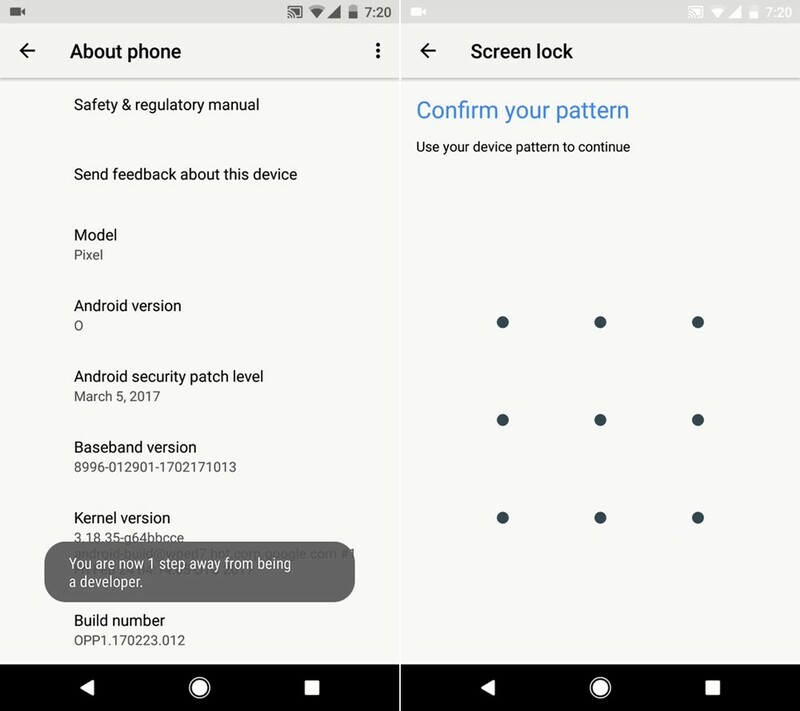 You might already know what needs to be done enable developer options (hint: tap build number 7 times), Android O now asks for the screen unlock password set on the device when you try to enable Developer options. As you can see in the screenshot above, it is asking us for pattern which is being used as screen lock password, while we can confirm the same for PIN password too. Though, if you aren’t using a screen lock password, it doesn’t asks for one and just unlock Developer options. Although the scope of the feature may seem small at first, it is a step in right direction for Android ecosystem as a whole as the added security feature makes OS more secure than ever. The added feature will definitely help thwart malicious apps on your Android/PC that try to take over your ADB or root access not to mention the various exploits that target the privacy and data of your device. At the very least, it should stop some of your nerdy Android friends who will try to enable your android debugging the first chance they get.